Please visit CCSA.org for more information or to sign up! 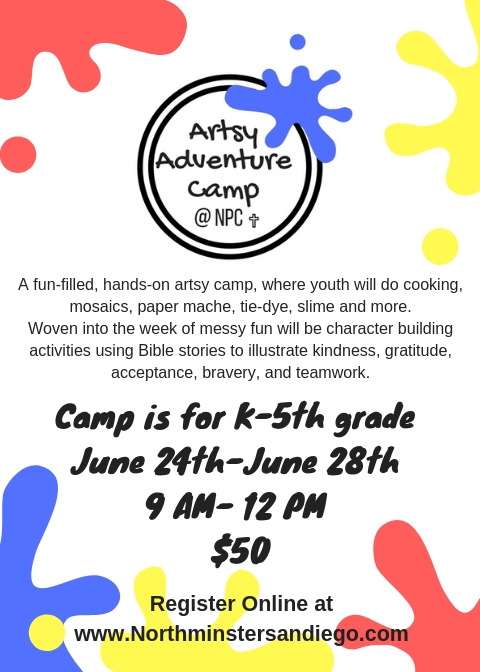 A week of fun at NPC, focusing on hands-on art and character building! Volunteer slots available for junior high & high school students. Click here to register for Parent’s Night Out! Northminster turns 65 this year! Northminster turns 65 this year. 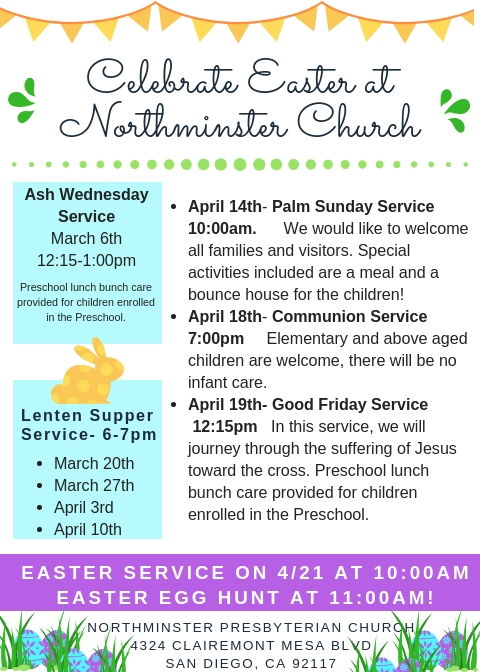 On March 31 we will celebrate Northminster’s 65th Birthday with a special service and lunch. Our Church history sildeshow, stories, music and praise. A special lunch will be served after service! 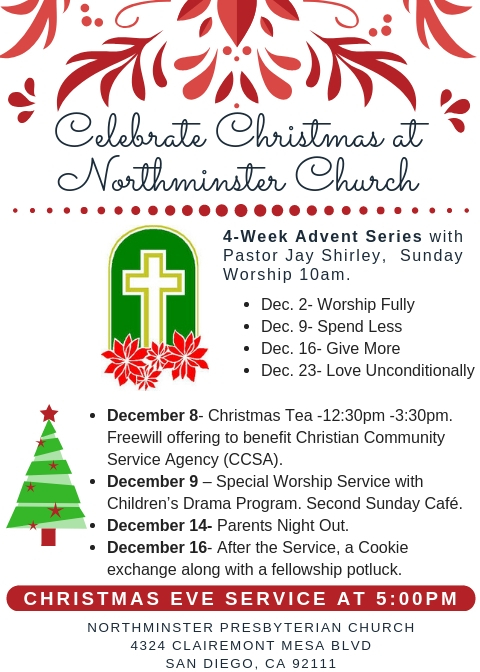 Please RSVP church@northminstersandiego.com or if you have any questuons. Worship Service followed by a meal. On the menu: All beef hotdogs, potato salad and baked beans. The second Sunday of each month our worship time is focused on welcoming all families and visitors. Special activities included are a meal and a bounce house for the children! Ash Wednesday Service March 6, 12:15- 1:00p.m. Service will be held in the Sanctuary. Preschool lunch bunch care provided for children enrolled in the Preschool. Wednesday, February 20 at 2:30 PM at the Senior center downtown San Diego. Volunteers assist in serving the cake and punch to the senior center. 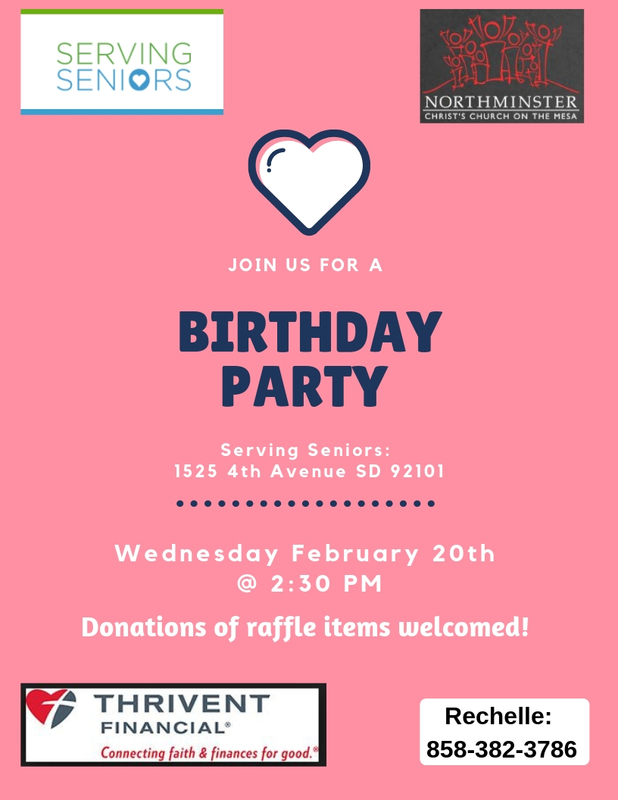 We will be having a raffle as well so if anyone has any new items such as sheet sets, packets of socks, low denomination gift card such as Starbucks, fast food, grocery store, or other items that seniors might like would be greatly appreciated for the raffle. 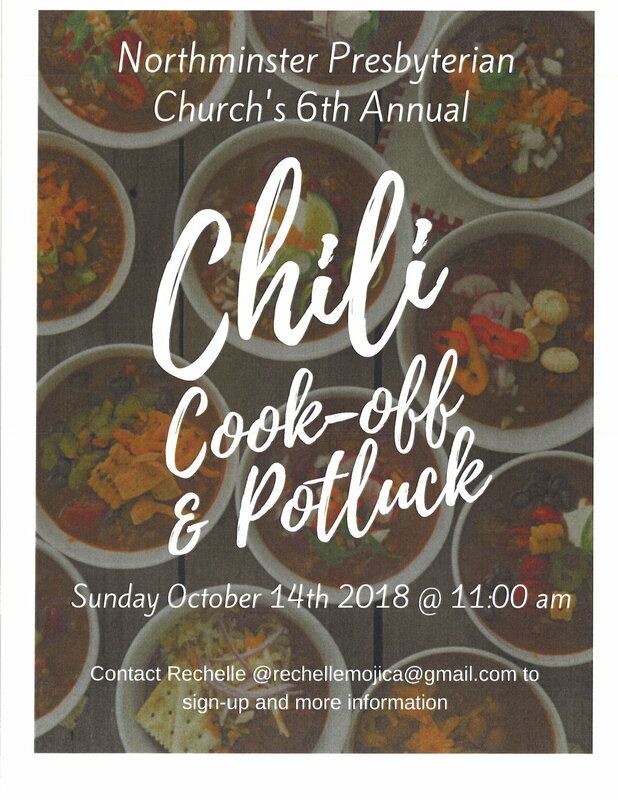 Please let Rechelle know if you can help in anyway with this ministry. Thank you! Coming up, we would like to invite you to our Family Sunday and Second Sunday café. Please join us February 10, 10:00am Worship Service followed by a meal. On the menu: Submarine sandwiches, Italian pasta salad and chips.